"I am fascinated by our perception of changing moods in a landscape under different light. "Color nuances are constantly changing with the light, time of day, weather and changing seasons. 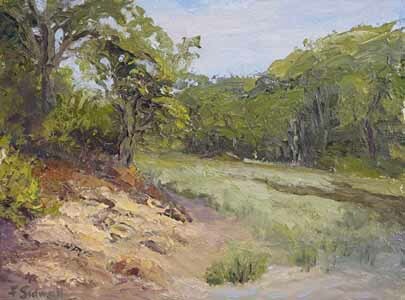 My goal is to convey this through both Plein Air and studio work with 'paintings that can take you there'." Felicity grew up in England, and came to the United States with her husband in 1971. 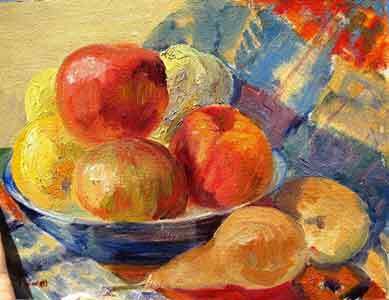 She attended Silvermine School of Art in Connecticut and has painted ever since, continuing to take workshops with artists whose work she admires. Moving from Connecticut to Maine in 2006 and, to be nearer to her grandchildren, in 2016 to Gettysburg, PA.
Felicity's work is represented by the Richard Boyd Art Gallery, Peaks Island in Portland, ME, and has been included in shows at Bayview Gallery in Brunswick, Boothbay Region Arts Foundation Gallery, and River Arts Gallery. 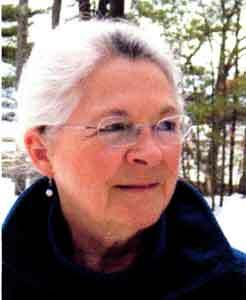 She has also had solo shows in both Connecticut and Maine, and won a number of awards for her watercolors in Connecticut. After six successful years, Felicity has closed her Sidwell Art Gallery on the coast of Maine, and will be exploring new directions in her art in Gettysburg, PA. She is looking forward to the new challenges of painting this beautiful countryside!